As a swimmer, you can never have too many sweatshirts for morning practices. 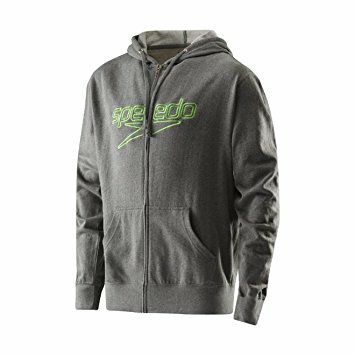 This Speedo Men's Logo Hoodie has a super-soft interior to keep you warm and comfortable on deck. Zip-up design for easy on and off.